Squash Revolution (SR) – We are a sports management company with a focus on squash. Our goal is to teach, promote, and develop the sport in all aspects. We aim to do so by carrying out events, camps, academies, and athlete representation. SR was established in 2009 and is led by Business Owner Abir Ray, Former North America’s #1 player Shahier Razik, 4 time world Champion Amr Shabana, and World #1 Greg Gaultier. In Virginia, Maryland, Washington DC, and Toronto, Canada, we provide year-round squash facilities for players of all ages and skill levels. 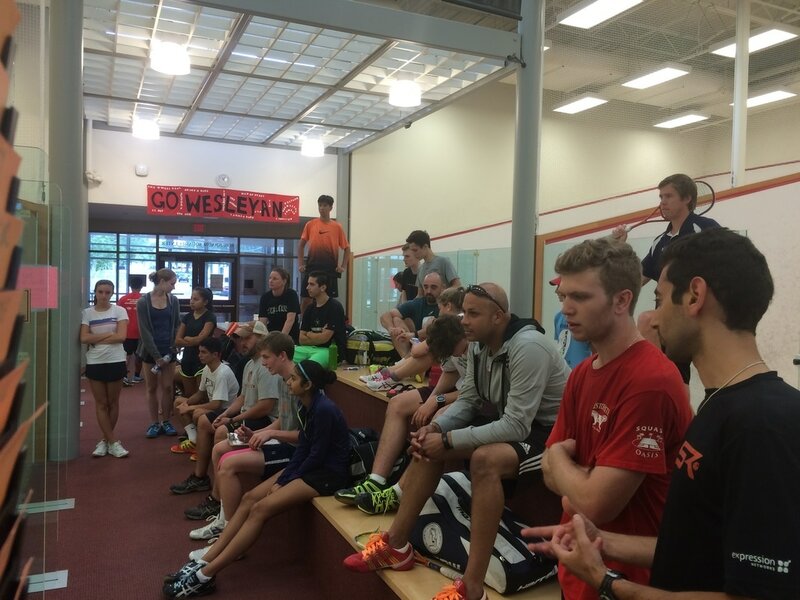 We offer lessons, run squash clinics, camps, and host tournaments. 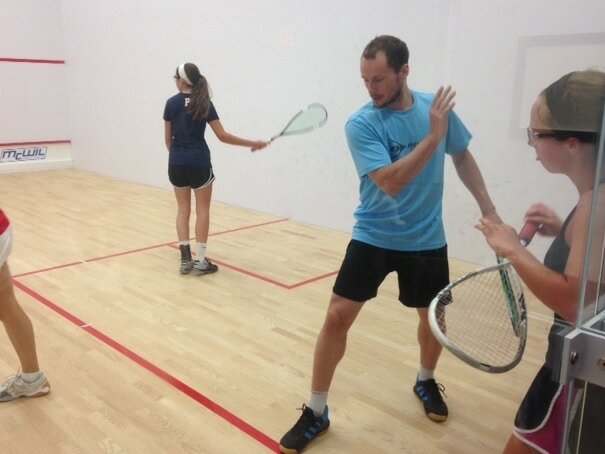 Our private, semi-private squash lessons, clinics, and camps are for juniors and adults. We also offer mini-squash for children 8 and under. Squash Revolution's concept is to provide all squash players with access to world class coaching and high level squash programming at an affordable price. Squash Revolution provides an entry level point for new players, programs for continuing players, junior development, high performance training, and career guidance to athletes and Squash professionals. It all started with a squash match, but it went on to become a great friendship and a passion for growing the sport. Squash is a fast paced sport played with two or four players with a "dead" ball at 120 miles/hour. More than 25 million squash players enjoy squash all over the world in more than 185 countries. In the US we have see the fastest growth of squash participation in the world - 82% since 2007- with more than 1.2 million squash players in the United States. Squash is represented in more than 200 colleges and universities which include 23 of the top 25 colleges by Forbes Magazine.